Personalised Uffizi Gallery tours are available from 8.00 to 15.30. We are comparing Personalized Uffizi Gallery Skip the Line Tour Prices from leading ticket suppliers and Try to find you Cheap tickets prices on the market. Enjoy a personalised experience on your visit to the Uffizi Gallery by taking a private tour in your chosen language. You'll get to hear about the lives of famous Italian artists such as Michelangelo and Donatello while learning how the Renaissance movement developed within Florence. You'll have the flexibility to pause and admire your favourite artworks and time to ask any additional questions. On busy days queues to the Uffizi Gallery can be over an hour long but with the personalised ticket you'll also receive skip the line priorities so you will have more time to explore the gallery. Meet with your guide on the Piazza della signoria and they'll take you to the front of the queue. The Uffizi Gallery is one of the top visited museums in Italy and also hosts one of the greatest collections of art in the world, with some pieces date between the 12th and the 17th century. On this 3 hour private tour you'll see masterpieces by the likes of Giotto, Raphael, Da Vinci, Cimabue, Botticelli and more, as well as collections of medieval art and temporary exhibitions. The Uffizi Gallery is the best art exhibition in the city of Florence and therefore a must-sees for all art and history lovers. This personalised tour should appeal to people who want a more intimate experience. Great for visitors who have a lot of questions to ask about the artworks. Your Experience With Personalized Uffizi Gallery Skip the Line Tour? 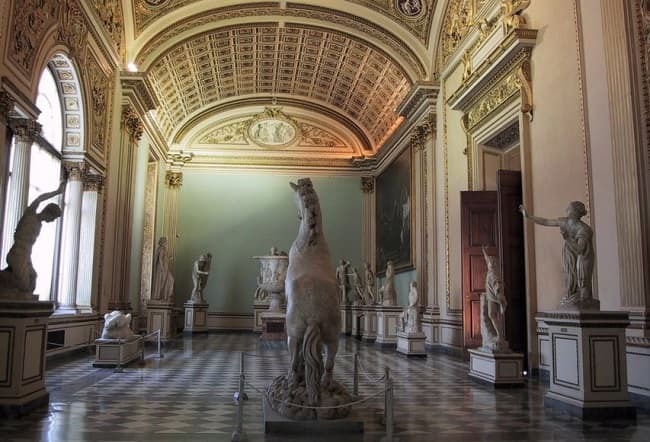 Enjoy a personalised private tour of the Uffizi Gallery. Hear and see the works of world-renowned Renaissance artists such as Raphael, Leonardo da Vinci, Titian and more, with the explanations of an expert gallery guide. Save time with skip the line entrance tickets to one of Florence's top attractions. What Personalized Uffizi Gallery Skip the Line Tour Includes? Skip the line entry to the Uffizi Gallery. Personal guide and private tour in English, Italian, Spanish, French, German, Russian, Chinese or Bulgarian. Travelers Reviews about Personalized Uffizi Gallery Skip the Line Tour? On Viator over 500 travellers have reviewed this tour. Overall it has an average rating of 4.5 out of 5-stars which means that this is a recommended tour. Travellers say that the tour is very intimate with only a handful of people in the group. Comments also recommend the tour guide and say that the gallery id defiantly worth visiting while in Florence. Any cancellations made less than 7 days in advance may be subject to cancellation fees. Large bags and umbrellas must be left in the cloakroom near the gallery entrance. Meeting Point: Fountain of Neptune, Piazza della Signoria, Central Florence.